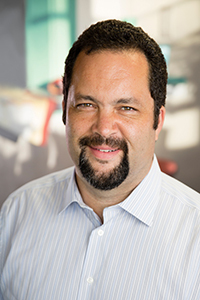 Ben Jealous tells the story behind lessons learned and unlearned, and what we all need to internalize if we aim to create a country where children are judged by the content of their character, not the color of their skin. Jealous a venture capitalist, civic leader and former president and chief executive officer of the National Association for the Advancement of Colored People (NAACP). He is currently a partner at Kapor Capital, board chairman of the Southern Elections Fund and one of the John L. Weinberg/Goldman Sachs Visiting Professors at Princeton University's Woodrow Wilson School. Sponsored by the Chancellor's Office.